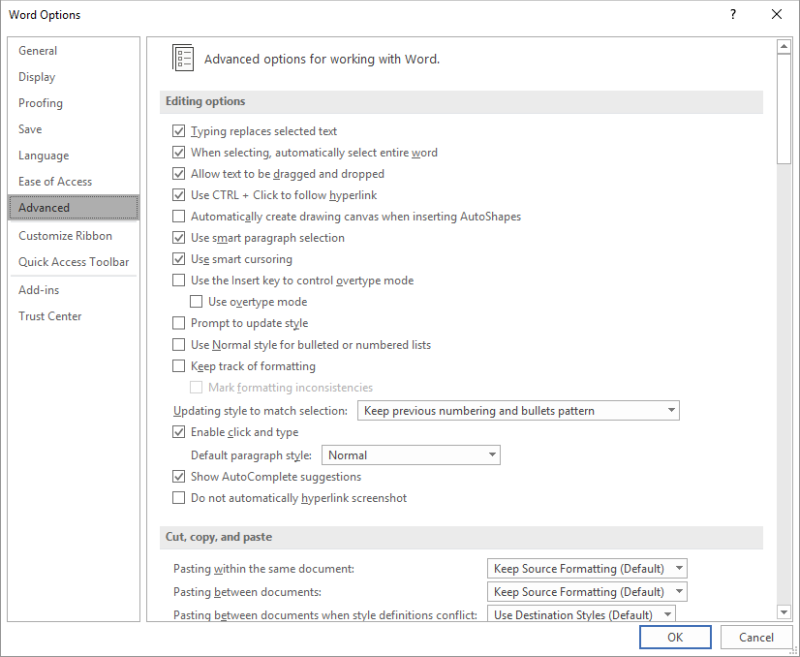 Word includes a captioning feature that will allow you to manually or automatically add captions in your document. These captions are typically placed with tables or other objects to identify them. For instance, you might have a caption such as “Figure 1” that appears below a figure. 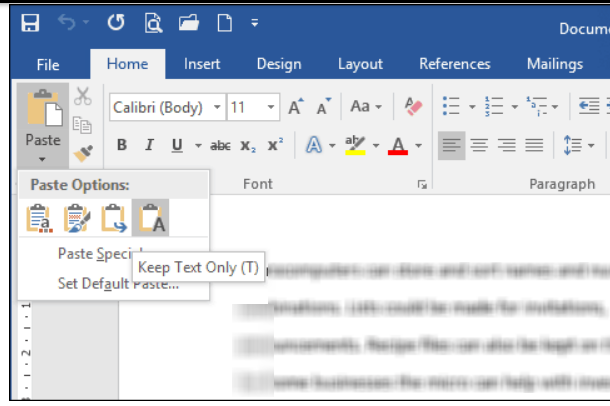 When you use the captioning feature, Word automatically formats the caption using the Caption style. By default, the Caption style uses the same typeface as your Normal style, except it is bold. If you want to use a different set of attributes for your captions, all you need to do is change the Caption style. Display the Home tab of your Ribbon. Click the small icon at the bottom-right of the Styles group to display the Styles pane at the right side of the desktop. 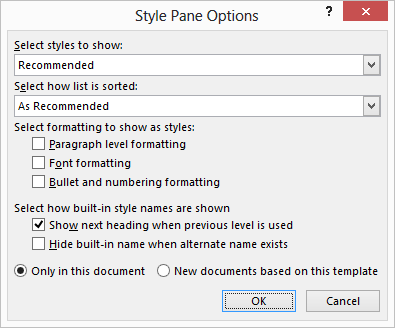 Click Options at the bottom of the Styles pane to display the Style Pane Options dialog box. Using the Select Styles to Show drop-down list, select All Styles. Click OK to close the Style Pane Options dialog box. In the Styles pane, scroll through the list of styles until you see the Caption style. Hover your mouse over the Caption style name. Notice that a downward-pointing arrow appears at the right side of the style name. Click on the downward-pointing arrow and select the Modify option from the resulting menu. 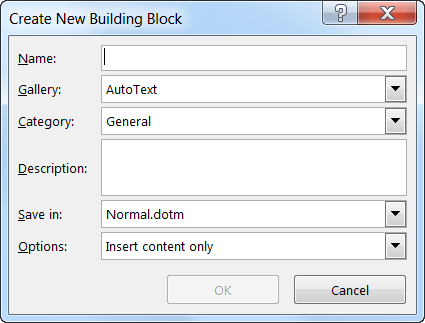 Word will display the Modify Style dialog box. Click on Format and choose the portion of the style you would like to change. Click on OK to save your modifications. Many of my subscribers lament the fact that WordPerfect used to have Block Protect wherein you would highlight a block of your text and protect it so that it would always appear on the same page. Click the little launcher at the edge of the Paragraph group on your Ribbon. This will open the Paragraph dialog box. You can now select one or both of these options. What is the difference you might ask? See below. 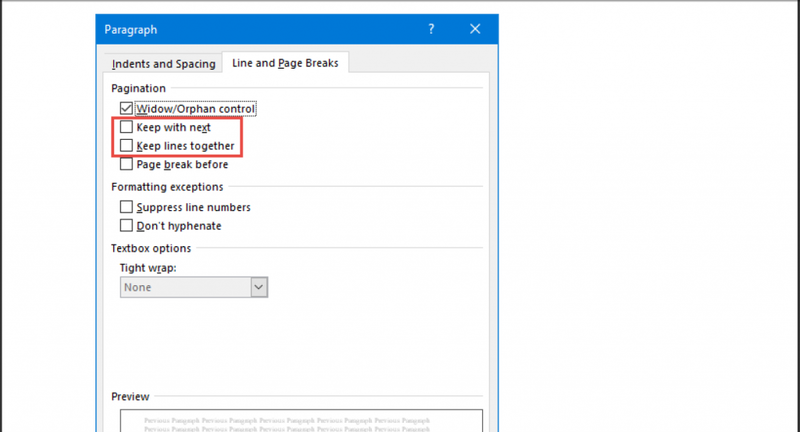 Keep With Next will keep two or more lines of a single paragraph together (i.e., it will keep a block of text that does not have a hard return or a line break within the block all on one page). Keep Lines Together will keep lines from separate paragraphs together on a single page (i.e., a heading and the first few lines of your paragraph). This is for a block of text that has one or more hard returns or line breaks or line breaks in the middle of it. If you cannot decide which you need, you can always use both and it will still work for you. Just do not try to block protect very large blocks of text or you will run into problems. If you have previously protected your document for tracking changes, comments, or for forms, then you will most likely need to un-protect your document at some time so that you can make unrestricted changes. Display the Review tab of your Ribbon. At the right-hand side of your Ribbon, click the Protect Document tool. Word will display the task pane. At the bottom of the task pane, click Stop Protection. Word will display the dialog box. Enter your password in the dialog box, providing you used one when first protecting the document. Your document is now unprotected. If you are like me, you do not want to stop the flow of what you are doing in an Office application to use your mouse. I love to save time and keystrokes! Want to copy some formatting in your document? Want to quickly and easily put a date in your document? How about if you want to double underline a word? Would you like to create a customized keyboard shortcut? Want to delete a word? Want to delete a back word? Want to create Auto Text? Want to split your document? Need to define a word before you use it in your document? Caveat: Some or all of these may not work for you depending upon which version of Word you are using. I think you have to admit though, these are some really handy shortcuts right? 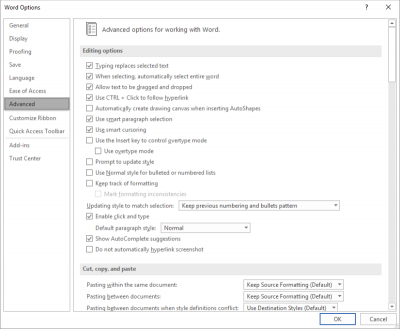 As you are most likely already aware, the Format Painter in Word 2016 copies formatting from one source of test in your document and applies it to another block of targeted text in your document. Once you have created your font, size, weight, formatting (i.e., bold, Italic, etc. ), on a particular block of text, and then find that you need to apply that self same formatting to another block of text, you do not have to manually apply it every time. Why rebuild the mouse trap right? You can copy all your formatting and paste it in one action and paste it to your targeted text! Most folks use the Format Painter command in the Home tab of the Ribbon. To utilize this command, you would select the text that has the formatting you want to use in other areas, click the Format Painter icon, and then select the target text to which you would like to apply the formatting. Once you release your mouse button the desired formatting is applied to your targeted text. Your text selection could be a word, letter, paragraph, etc. If you are like me, and would like to get maximum results with minimal effort, you need to keep your hands on the keyboard at all times and utilize as many keyboard shortcuts as you possibly can. 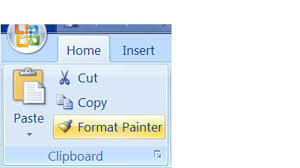 The keyboard shortcut for Format Painter consists of two shortcuts: one to copy the formatting and one to paste it. Select your text and click CTRL + Shift + C to copy your formatting. Select the text where you want the copied text formatting to be applied and click CTRL + Shift +V to paste your formatting. Keyboard shortcuts are the secret to working faster with Word. Most of the time spent creating a document is with your hands on the keyboard when you are keying in the content. Whenever you use your mouse to perform another action, you have to locate your mouse, move your hand to where it is, move it to the menu, etc. Obviously this is an interruption to the flow of your work, not to mention extra steps! Whereas if you were to keep your hands int he same place – on your keyboard – and use shortcuts, you save so much time! The biggest complaint that I get about using keyboard shortcuts is that folks say they cannot remember what they are! So, what I tell them is that if you want to master them, you must force yourself to use them. Here’s a little secret I will share with you. I have a very small post it note taped to the edge of my desk and on it are the keyboard shortcut keys that I find myself using the most. After you have used the at least ten to fifteen times, they are in your memory bank! Subscribers: How To Insert A Check Mark In Your Document, Etc. Word will allow you to add comments to your document, as a separate element of the document. Comments do not interfere with your main text and will appear in their own area of your document. Comments are normally not printed when you print a document. Place your cursor where you would like your comment anchored. You can, if you like, select a passage of text about which you would like to comment. Simply select your text as you would normally. In the Comments group, click on New Comment. Word will place a comment in the margin. Key in the text of your comment. When finished with the comment, click somewhere in your document outside of the comment. If you later want to view your comments, just display the Review tab of your Ribbon and use Next and Previous, in the Comments group, to move from comment to comment. If you reference information from online sources, sometimes copying the information directly into your Word document can have some unwelcome effects. As a rule, you do not want to keep the original formatting in the text you are copying. Fortunately, there is now a quick and easy method to accomplish this. Copy the text you would like to copy from the source by selecting the text and clicking CTRL + C.
Next, place your cursor in your document where you would like your copied text to appear. 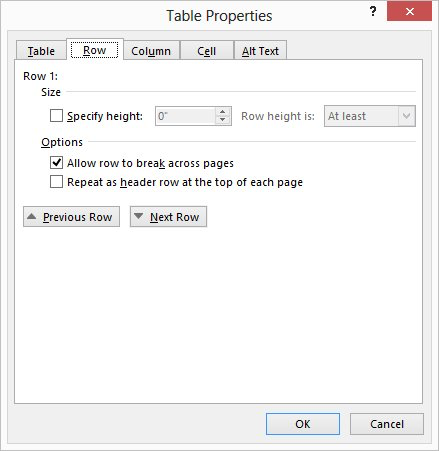 Right-click and select Keep Text Only from the resulting menu. You can set a default if you like, so that in the future, your text is automatically pasted in that format. Then you do not have any unpleasant surprises!